Spa Director Barbara Sitwell recommends using H. Gillerman Organics Spa treatments for muscle aches at the beautiful retreat, the Mohonk Mountain House. 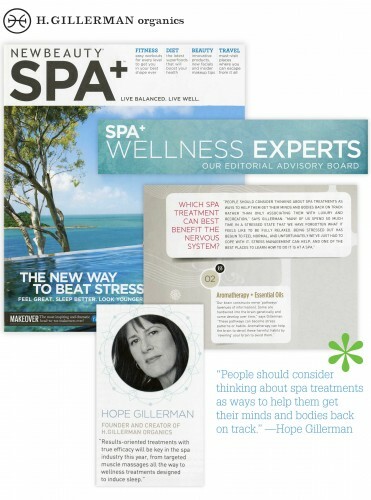 Hope Gillerman recommends using H. Gillerman Organics Spa treatments for sleep, bloating, and aches. 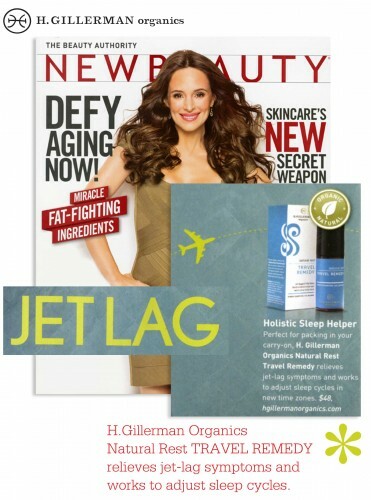 Hope Gillerman recommends using H. Gillerman Organics remedies for traveling to combat jet lag, bloating, and aches. 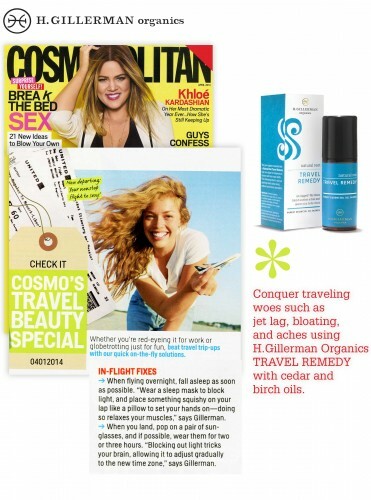 RECOMMENDS: H. Gillerman Organics for reducing bloating and fluid retention. The aromatic MUSCLE REMEDY contains birch to relieve pain, basil to soothe the lower back, vetiver to stimulate circulation, and litsea cubeba to reduce inflammation, in a base of organic olive oil. 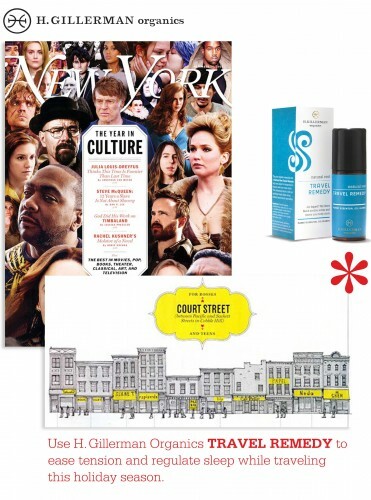 The New York Magazine picks our natural rest TRAVEL REMEDY as one of the TOP picks for the 2013 Holiday Shopping Season under $50. 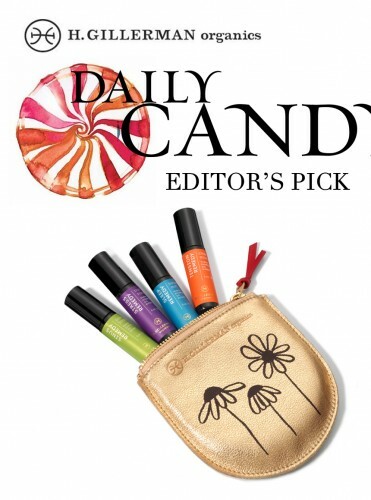 The New York Magazine, Daily Candy, Organic Spa Magazine, New Beauty Magazine, and Ashley Koff all picked the Remedy Pack as THE gift for 2013. Thank you all, and Happy Holidays. Chill out angsty pals with a four-pack of essential oils to combat stress, insomnia, tension, and sinus pressure. 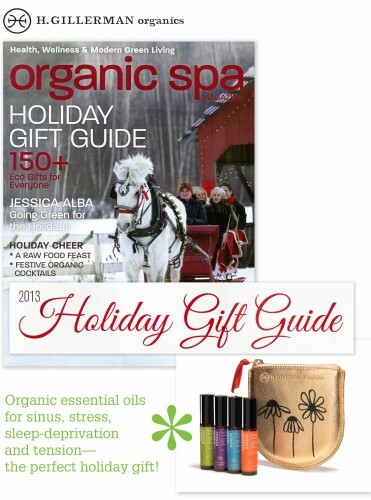 Give the gift of Wellness. 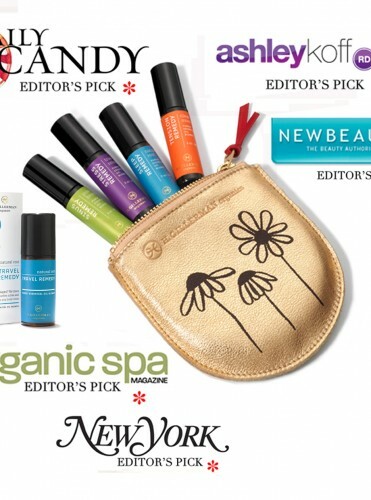 Our REMEDY PACK chosen as a top pick for the holidays!